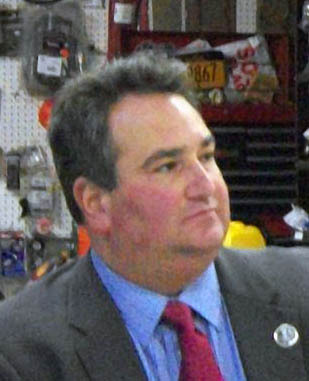 Chautauqua County Executive George Borrello Monday filed Republican designating petitions with the state Board of Elections, for the contest to succeed former State Sen. Catharine Young in the 57th District. Borrello, who is seeking the Conservative and Independence Party nominations, was elected county executive in 2017. He now seeks to win the seat Young vacated in late February to take a post with Cornell University. Gov. Andrew M. Cuomo has not yet indicated if he will call a special election to fill the vacancy. Borrello was elected county executive in 2017 with nearly 64 percent of the vote, in a county with an almost equal Republican and Democratic enrollment. A former chairman of the Legislature’s Planning and Economic Development Committee, he was a founding member and first chairman of the Lake Erie Management Commission. He has for many years run a company providing products and services to the hospitality industry across the country. TAPinto, an Olean-based online news site, last week reported that Curt Crandall, longtime chairman of the Allegany County Legislature, had announced for the seat and was circulating petitions to force a primary against Borrello. Several Democratic committees in the district have endorsed newcomer Austin Morgan, a Freedom native, 22, a candidate for graduation from Cornell in June.